It’s almost October, which means it’s time to get in the Halloween spirit. We can’t wait for the season of ghosts and goblins, candies and costumes. This year, we are planning to totally deck the office out in some fabulous decorations, but because we’re at work, we wanted to keep things classy. We found 11 adorable ways that you can decorate your office, while still keeping it fun and chic. 1. These fab painted pumpkins will make your office Halloween chic. While we’ll always love the classic orange pumpkin, they might not go with our office decor. But, as this awesome image shows, you can use painted pumpkins to dress up your office for Halloween in any color scheme. 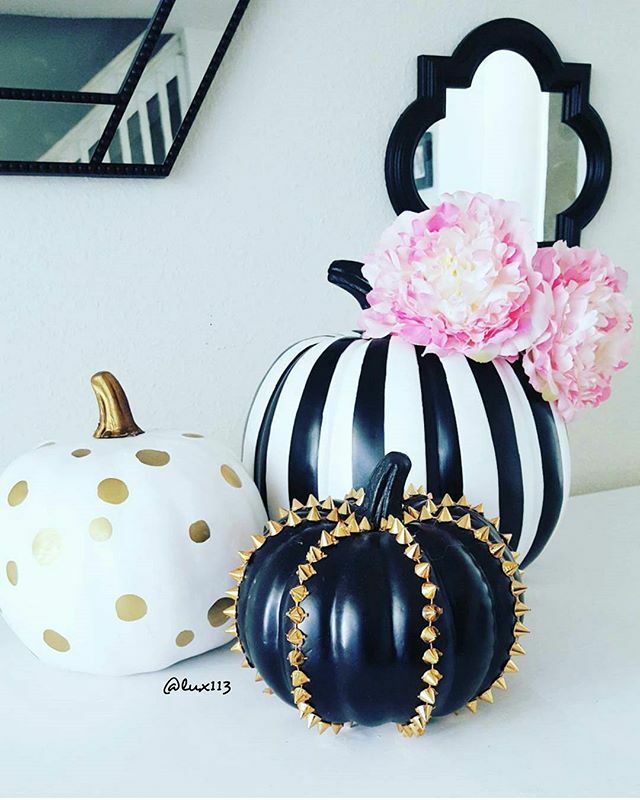 And if you love the classy black and gold, you can get that studded pumpkin at Target for $6.00. 2. These giant googly eyes combine spooky with adorable. So many Halloween decorations can be spooky and gross, but maybe that’s not very fun to stare at for all of October. These are a super simple DIY project that you can make with materials from your local thrift store. 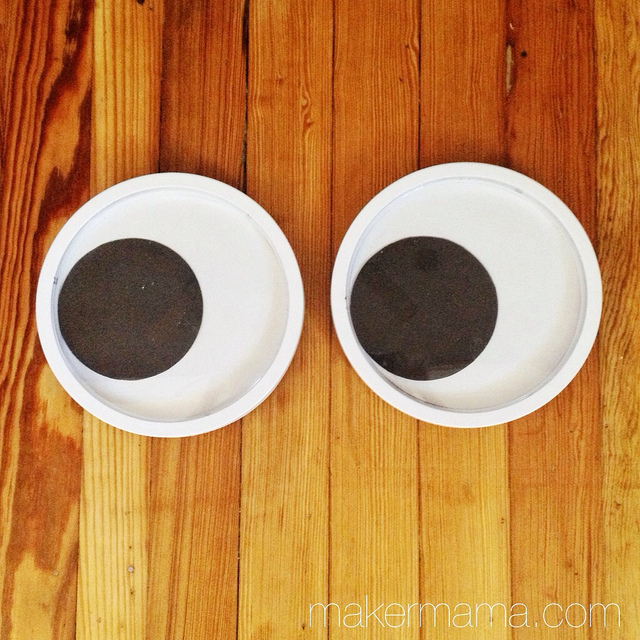 Check out the instructions from Maker Mama here! 3. These sassy pencils will have you feeling wicked while you write. These pencils will just look like your average black pencils for Halloween until your coworkers look closer. Then, they’ll get a little sassy surprise that we think will make them giggle. You can order these fabulous pencils on Etsy for only $1.33 per pencil. 4. 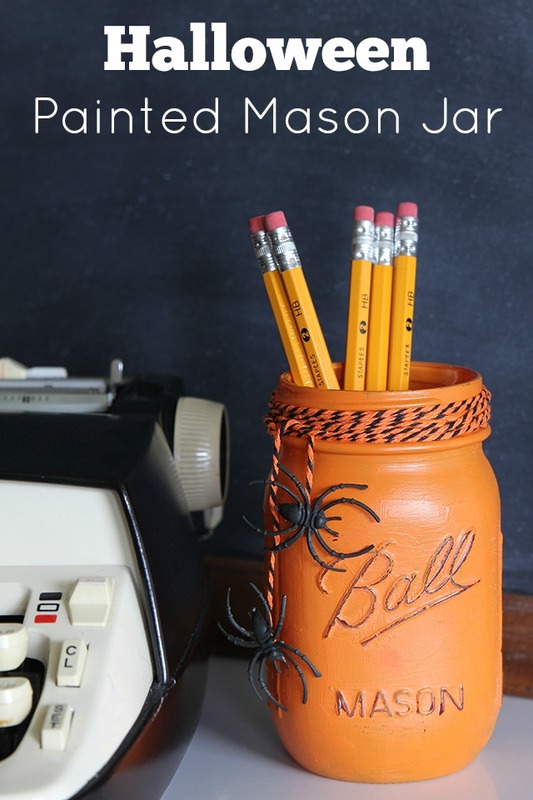 This Halloween-themed pencil holder blends function and style. This is another great example of both fabulous creepy decor and functional office supplies. We love this painted mason jar, because it’s both simple and adorable. We love the vintage flair of the mason jar. 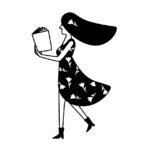 Check out the DIY instructions from House of Hawthornes here. 5. This spooky skeleton planter gives you that Halloween vibe while keeping things sleek. 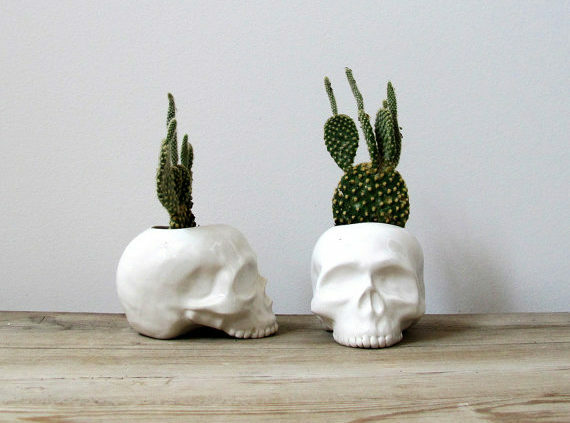 We love these super cute skull planters, because the sleek ceramic tames the creepy shape, so it’s not too much. Plus, we’re always looking for ways to add a little green to our desk, and this is a perfect fall option. You can pick up a skull planter like these on Etsy for $42.00. 6. 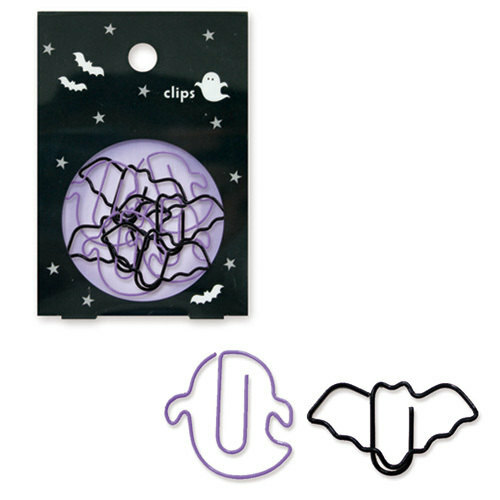 These adorable paper clips will make for some cute Halloween-themed memos. Of course, you don’t want to let anything in your professional life get too silly, but who could criticize paperclips this adorable? For the month of October, try clipping all your office paperwork with these cute little guys, and your coworkers will probably love you for your Halloween spirit. You can order a pack of 18 of these from Etsy for $4.99. 7. 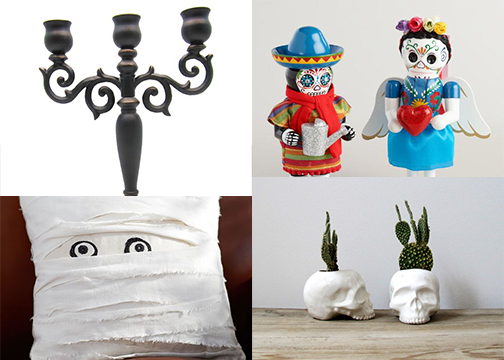 A cool, gothic candlestick gives off Halloween vibes without sacrificing style. The best way to keep your Halloween decor classy is to lean into the chic, vintage gothic style that screams both haunted house and Victorian palace. 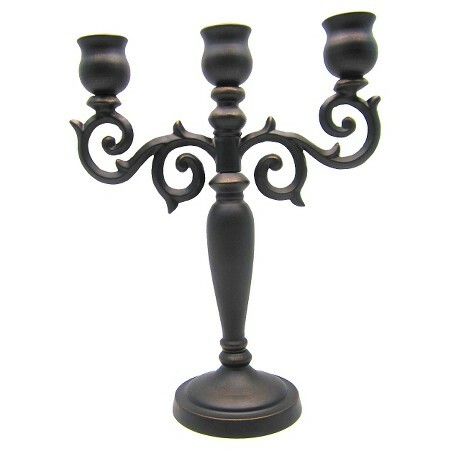 This candlestick is a great example, and you don’t need to seek out a palace. You can pick it up at Target here for $10.00. 8. 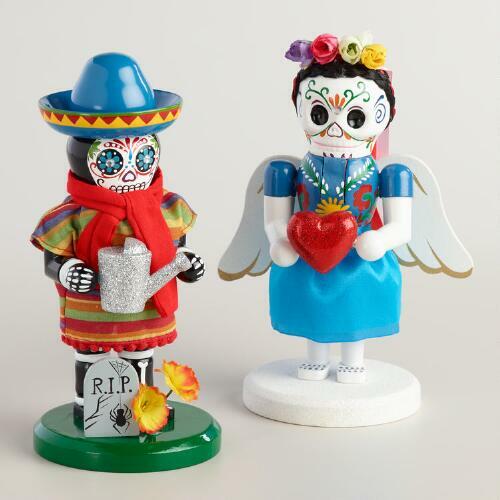 These adorable Dia de Los Muertos skeletons will brighten up your desk. Who says Halloween decorations have to be dark? You can take your decor in a more Dia de Los Muertos direction, and pick up some of the fabulous, brightly-colored decorations that make this Mexican holiday so much fun. Get these two adorable skeletons from World Market for $29.98. 9. This gorgeous lighted willow branch might last the whole year. Rather than going to literal, you can embrace the more natural angle on fall with the bare trees and colorful leaves. 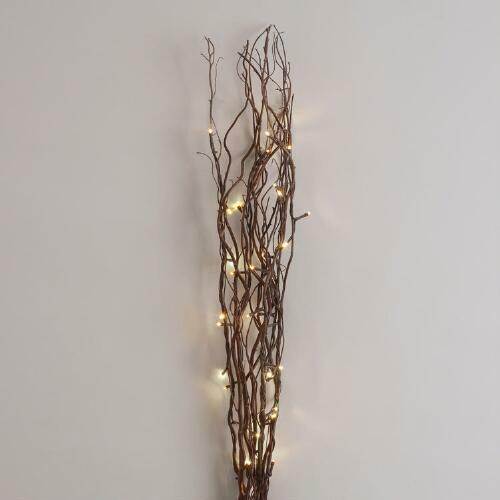 We are absolutely gaga over this lighted branch decoration, and we might leave it up year round! You can find it at World Market for $14.99. 10. This mummy pillow will make our office too creepily adorable for words. 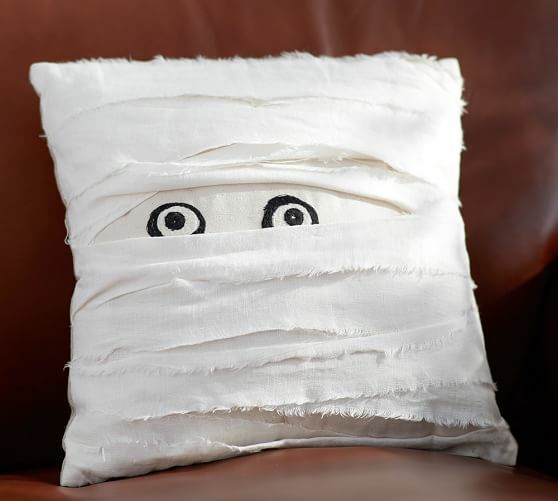 If you have a chair or couch in your office, why not give it a little Halloween spirit with this ghoulish mummy pillow? We love the cuteness of the eyes peeking out, and as a bonus, you can turn it over and make it look like a regular pillow if you need or want to. Pick it up at Pottery Barn for $32.50. 11. 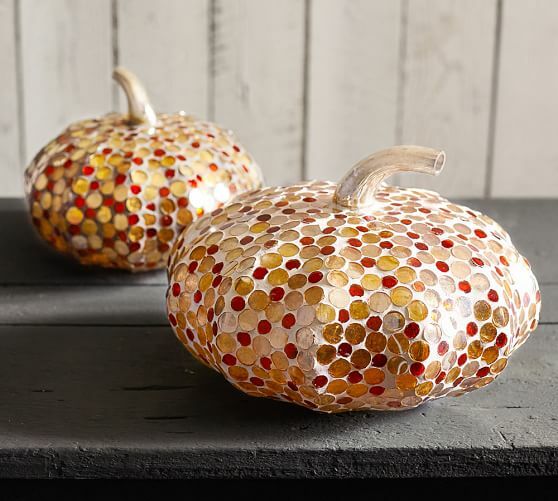 Add some sparkle to your desk with these mirrored pumpkins. These fabulous multi-colored pumpkins are practically stunning works of art, and they could definitely be stretched into Thanksgiving if you wanted. The different colors of glass definitely reflect all the rich fall colors we love, and it’s always fun to have a little spark. Find these in a small and large size at Pottery Barn here for $29.50-$39.50. With adorable decorations like these, we’ll for sure have some ammo against the Mondays.